My name’s John Dodge and I have hull 135. Bought her for 9500 dollars about 5 years ago and am completely hooked. 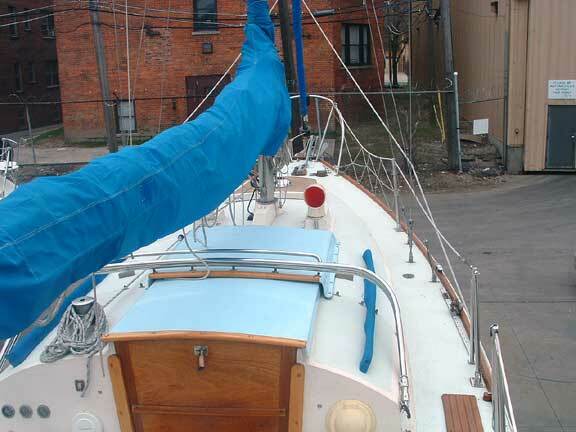 I live in Michigan and sail in Lake St. Clair. 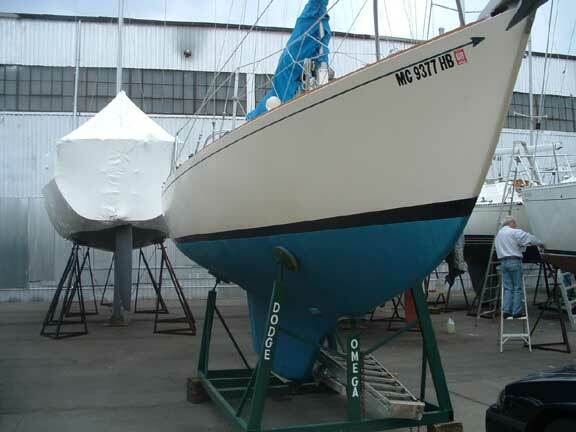 Omega (my boat) is out of the water right now but I’ll be uncovering her and un-winterizing shortly. I appreciate your site very much. As you can imagine, those of us who pass their time sitting at traffic lights wondering how best to install a wash-down pump, or while at work, passing a few minutes each week surfing around looking for tips on Atomic 4 maintenance, look at your site with great joy. Who knows how many B29 owners are out there—maybe 75…125? I’m sure you’ll hear from them all. 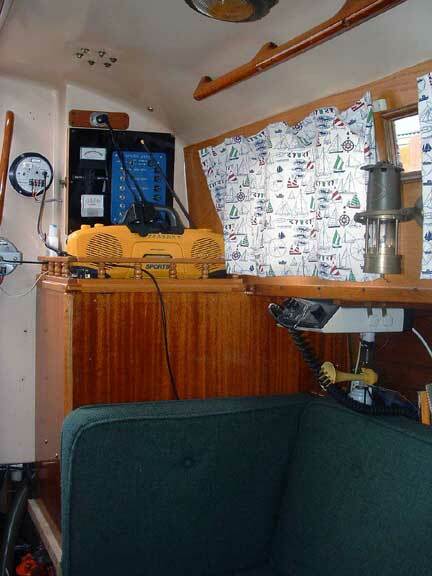 My boat came ready to sail; she had done some serious cruising in the Great lakes including Lake Superior—a lake for which I have a visceral fear; you’ll never catch me on that lake. 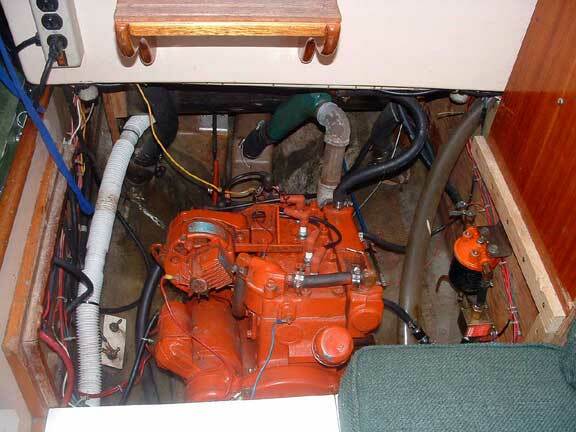 The original owner made extensive modifications and did some excellent work. 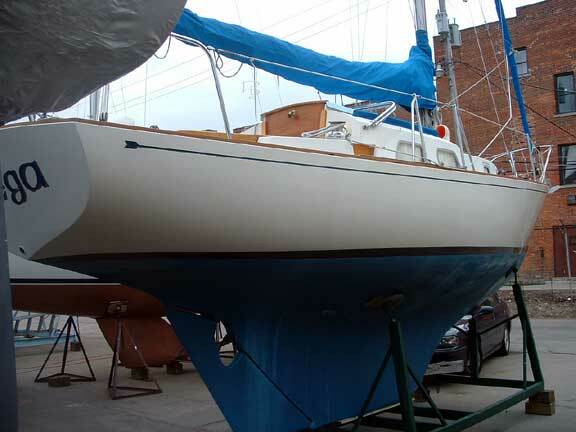 Very clean bottom on John's boat. So far, my Bristol seems the only one without the arrow head and tail on the cove stripe--wonder why.. It seems that John has a cockpit locker for propane tanks, creating a bridge deck, which I think the B29 sorely needs. The cockpit drains were moved aft--I assume also aft of the fuel tank, Must have been a bear to mount them! 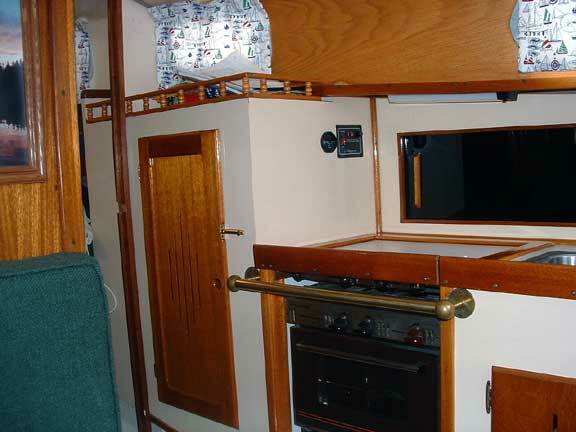 I'd also like to know more about how the companionway was raised and how the interior side was finished. Notice the nice example of a seahood. A very nice installation for the oven. 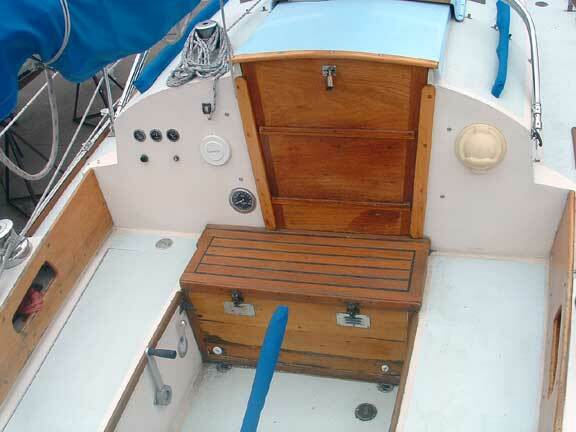 I also have to know what the "box" is over the small port quarterberth.. The box turns out to be for storage, very nice implementation. Extra storage is always a challenge and godsend on the B29.